Hazy house jams and low-slung soul from a standout Copenhagen label riding a serious second wind — this week's Upfront comes via Tartelet Records. Frederik Bille Brahe and Tomas Barfod founded Tartelet after a string of parties back in 2007; I joined in 2009 and ended up taking over the label. 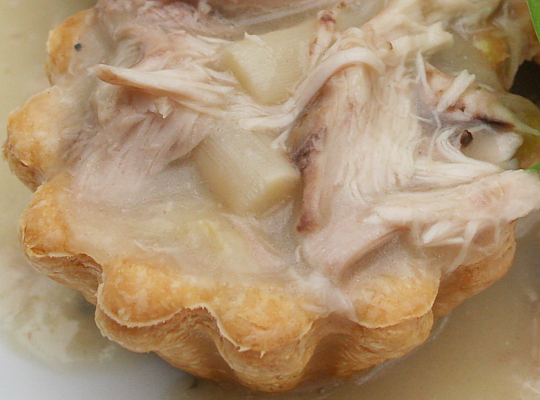 The name Tartelet was suggested by our friend Silas “Soulland” as a drunken joke – “tarteletter” is a Danish dish with slimy chicken and asparagus served in dry pastry. Not a favourite in my house. As for a label ethos, we don’t really have one – I could say something fancy but it wouldn’t be true. I put out what I like or find interesting – things that change over time as you mature. Sticking to one sound has never been an option. Glenny and I both come from hip-hop and share a mutual interest in this art form. I spent most of my youth chasing trains and painting graffiti before getting into DJ’ing and eventually electronic music. I don’t see the point in limiting yourself; we should explore and be open-minded that is the only way to move forward and stay relevant. The one thing giving me the most pleasure is working with new artists and help build their career, I guess that’s why I kept doing the label. Glenn and I compiled this mix on a sunny afternoon while eating crisps and watermelon. Max dropped by and was farting in the background all the way through, making it almost unbearable to be in the room. The mix consists of unreleased and upcoming material from Tartelet & [Max and Glenn's new label] Money $ex with a few tracks from unrelated artists and labels. You’ll find tracks by Glenn Astro, Alex Seidel aka Techno Axel, Hulk Hodn, IMYRMIND, Nu Guinea, Vivian International, Dego & Kaidi, CTEPEO ‘57 and of course Eazy E. I like Eazy E, he reminds me of a mouthy childhood friend who always got into trouble with the older kids. Shout out to Masar & Moudi! Copenhagen's Tartelet Records isn't a new label – but a second wind is driving the imprint into exciting new territory. With an early life marked out by breakthrough releases from Brandt Brauer Frick and Kenton Slash Demon, the past couple of years in camp Tartelet have seen a new set emerge. Between Max Graef, Glenn Astro, Wayne Snow and other young blood, the label has taken great strides into solidifying its identity. Call it a mild sea-change in creative direction, or a firming up of its 'voice', it's a stable becoming ever-more reliable for a certain kind of sound. Still, it's a common instinct – or pitfall, depending on how you look at it – of music commentators to make sense of those loosely-defined 'sounds' with genre-markers and scene-tags. In some cases, there's not always a 'grander narrative' to foist – but what is it in this instance? That something which connects Tartelet with labels like Peckham's 22a, Cologne's AVA., Berlin's The Gym and the low-slung jams on our own Bradley Zero's Rhythm Section? It's soulful downtempo house music, sure, but that doesn't really cover it. It's music that occupies a creative interzone between the stuff of elder statesmen like KDJ, Theo Parrish and Masters at Work and the pioneering beat-making of OGs like Madlib and Dilla. It's music that casually synthesises dusty jazz, rare groove and disco, with the spirit of instrumental hip-hop at its heart: lifted breaks, half-slung drums, and warm warbling basslines. Above all, it's drenched in soul. In a sense it's nothing new, yet there's something undeniably fresh in its expression. Spend an hour with this mix and it'll join the dots for you. Mixed by Tartelet head-honcho Emil Margetli Nyholm (Muff Deep) and close-consort Glenn Astro, it's a warm-blooded journey into the label's signature sound, knitting together groove-laden house, broken beat and neo-soul. Aside from a spot of time-travel back to '88 Compton and '76 Rio, it's almost entirely unheard too. Alongside heaps of exclusive Tartelet material, Glenn's also taken the chance to tease forthcoming wares from Money $ex Records, his newly-born label venture with Max Graef. Playfully percussive, low-slung and deeply soulful, it's the perfect boon to unlocking the first of the summer sun – dig in. Will is a Boiler Room project manager and contributing writer. Our weekly audio mix series where we call upon the most interesting artists/DJs/record labels and ask them to peer into the near future. How they take it from there is entirely open to interpretation. An hour of dark and cerebral but stunningly beautiful electronic surround from a "sonic tribe" gathered together in the desert of the UAE. 100% exclusive (bar one rediscovered nineties obscurity) and 100% hypnotic, this mix by the Delft / Valence label boss is all about strobelit, smoky techno timelessness.